The legendary Crystal Skulls have been lost for centuries, and now it's up to Sandra Fleming to find them. Join forces with Sandra as she and friend Tom Fletcher search volcanic islands, the snowy mountains of Nepal, and the jungles of the Amazon to track down the ancient relics. Search scenes and solve mind-bending puzzles to unlock clues and reveal a dark secret that will change everything! 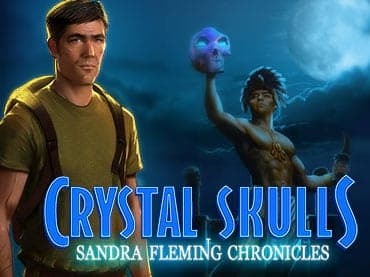 If you have questions about Sandra Fleming Chronicles: Crystal Skulls game, please contact us using this form.